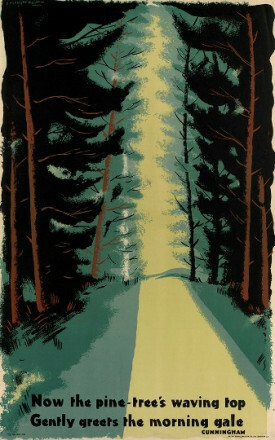 Edward McKnight Kauffer was one of Britain’s most highly influential 20th Century Poster Artists and Graphic Designers. Beginning his professional life as a painter, Kauffer soon embraced poster art as a form of visual communication, enabling the public to view Modern Art through the display of his posters on the streets. Once in London friends introduced Kauffer to Frank Pick, Publicity Manager for London Underground Electric Railways. 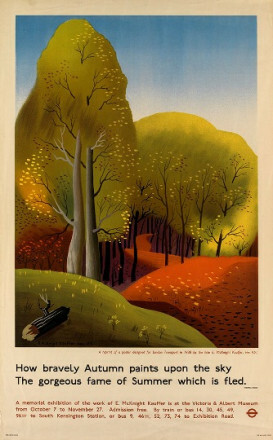 The relationship lasted for the extent of Kauffer’s career in Britain, with Kauffer producing a tremendous 140 posters for London Transport. 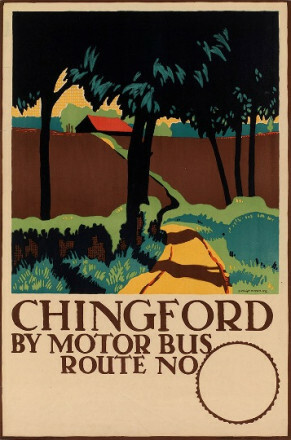 In 1915 Pick commissioned four landscape posters; ‘Oxhey Woods’, ‘In Watford’, ‘Reigate; Route 60’ and ‘North Down’s.. 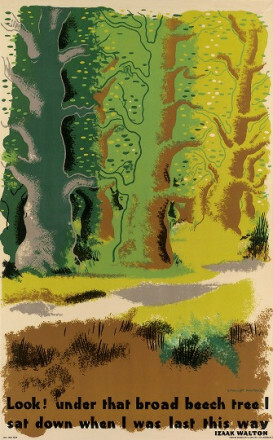 Maintaining a very painterly style in these posters, it is possible to see influences of Van Gogh, most notably so in Oxhey Woods, and also of Japanese colour woodcuts in ‘In Watford’. 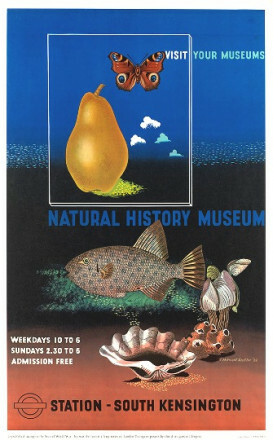 Kauffer rapidly developed from traditional poster art towards what is recognised today as graphic design. 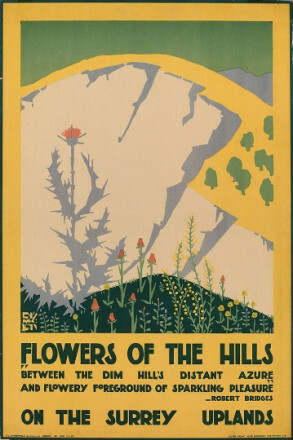 ‘Winter Sales are best reached by Underground’, 1922, is one of several remarkable posters Kauffer designed for Pick as part of a Winter Sales set between 1921-24. It revives his early influences from Vorticist and Japanese woodcuts, its abstracted forms of raincoats and umbrellas and its diagonal impression of wind and rain together create an intelligent and eye-catching pattern that would have equal rights if displayed at any reputable art gallery instead of on an Underground poster-hoarding. Kauffer’s jazzy-style was really coming into its own during the mid-twenties. 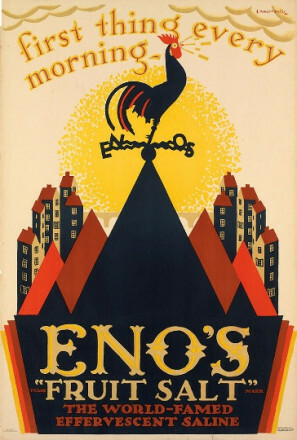 Kauffer’s most widely seen poster, aside from those for London Transport is, Eno’s Fruit Salts, First Thing Every Morning (1924). Its bold, dynamic style and use of bright colours proved to be very successful. 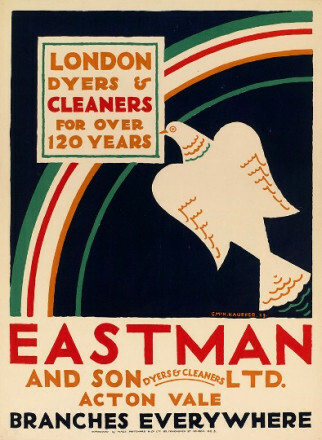 In addition to posters he designed many stage decorations for London theatre shows. 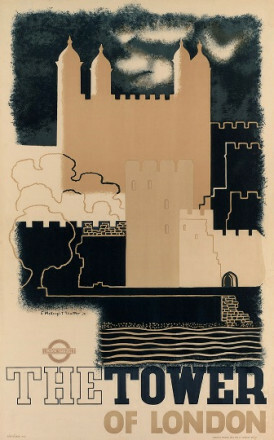 Theatre’s influence is prominent in his posters for London Transport at the time. The triptych Whitsuntide in the Country and Summertime (both Jack i the Green and Pierot)(1925), uses vibrant colours and powerful pictorial scenes reminiscent of theatrical backdrops, bringing the stage to the streets of London. Kauffer’s neat and orderly nature is heavily expressed in his work, giving it impact and power. 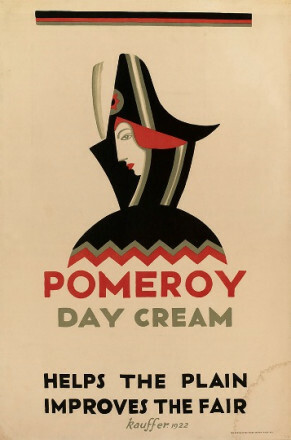 By the late 20s, airbrushing and photomontage were both appearing in his work. He shifted to using rectangular as opposed to diagonal directions in his layouts, and the use of positive and negative lettering as well as streamlining effects, all characterised his work. An example of these techniques is seen in Play between 6 –12, The Bright Hours 1931. The airbrushing especially meant Kauffer could move forward with his lettering technique, finally giving it a ‘machine’ look. At the onset of WWII Kauffer reluctantly returned to New York..
From http://designmuseum.org/designinbritain, the online archive of the British Council and the Design Museum. A form of collage employing photographic images, whole or as fragments. The technique was originally developed by German Dada artists. In recent times the term has been used in connection with the manipulation of photographic processes, dark-room techniques and printing. A work of art comprising three separate sections intended to be seen together. The panels are usually hinged together so that they can be closed like a book. This format was originally devised for portable altarpieces depicting scenes from the Christian Bible.